On a recent episode of the Phones Show Chat, I talked briefly with Steve and Tim about my quest for my perfect second device, so I thought I'd add some more detail here. As a bit of background, I have 2 active SIMs - my main one is in my phone (currently a Nexus S) and is an AYCE contract from Three UK. In general, I'll use this as a hotspot for other devices when I need to. My other one is on GiffGaff. This is a PAYG SIM that can be made to work like a contract if you want it to by using "Goodybags" and/or automatic topups, and uses the O2 network. Most of the time it's in PAYG mode (so costs me nothing when not in use) and I keep it in another phone in my bag, partly for emergencies - if the battery dies on my other phone, or if I can't get Three coverage - and partly to increase my chances of coverage when we're away in the campervan and don't know what to expect on any given campsite. For this purpose when we're going away I add a £10 goodybag that gives me unlimited data for a month (tethering not permitted), plus some inclusive calls and text messages. It occurred to me recently that if this SIM was in a small tablet with an optional decent keyboard, I could effectively have a pretty competent laptop replacement in my bag all the time. For me, a laptop replacement has to have a decent physical qwerty keyboard good enough to touch type on (so a little thumb keyboard is NOT going to work for me in this scenario, despite its portability) and a screen big enough to view full desktop websites. On the other hand, for media consumption (including ebook reading, podcast viewing/listening, etc.) 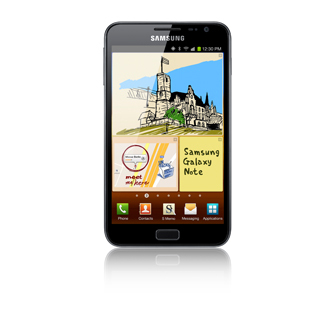 a small tablet is a better option, as it's lighter and more comfortable to hold for long-ish periods. In terms of form factor, a slightly squarer version of my old beloved Psion5/5mx (i.e. the same width in landscape mode, but a little taller to give a 16:9 display) would be a good size - after all, I did used to carry one around in my bag in the days long before touchscreen PDAs and smartphones, so it clearly passes the handbag compatibility test. 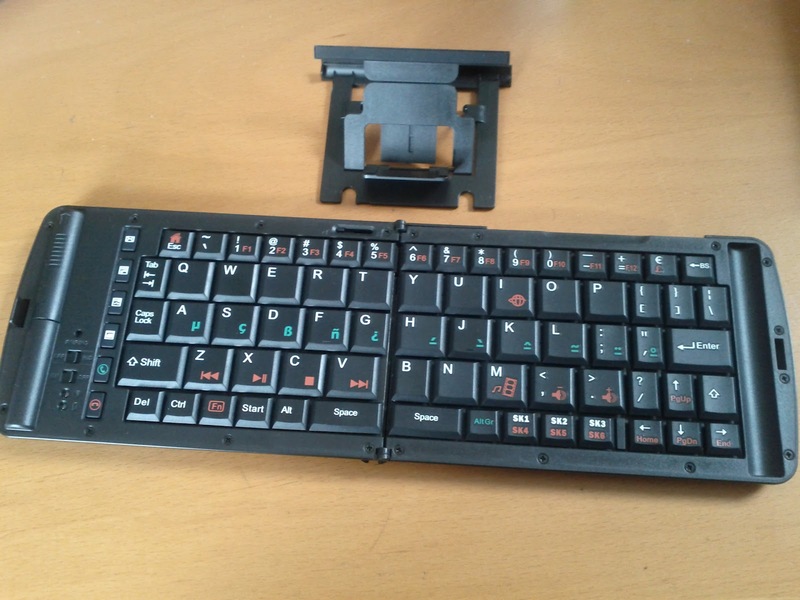 The keyboard may have been smaller than even the original eeePC's, but it was absolutely superb with good feel and travel and a conventional layout, so with my small hands I could use it to touch type completely normally. 7" would probably be the upper limit on size to fit in my bag, and even then, only if it's a slim device with small bezels. 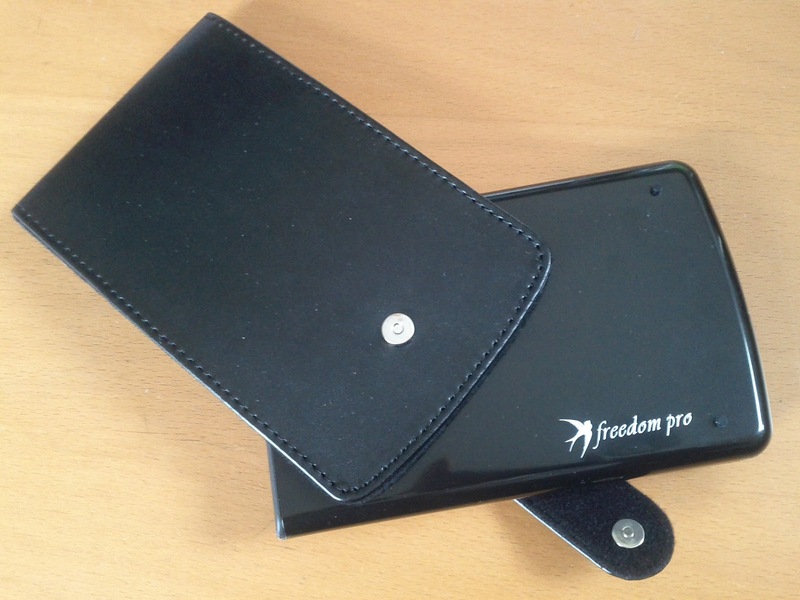 In with all the other stuff in my bag, it would need to wear a protective case. A 6" device with good display resolution would probably be the sweet spot for me. Oh, and it'll be running Android so that I can make use of all the apps I've already bought and use regularly. 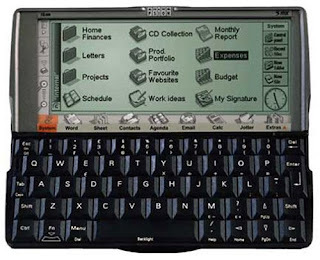 In short, I'd like a cross between a Psion 5 with its great keyboard, and an eeePad Transformer with its removable keyboard dock (but inferior keyboard) packaged in a form where the tablet part is about the size and thickness of a Kindle. In addition to that, I want it to have WiFi, 3G, Bluetooth, and to be able to send or receive a call or text message in emergencies. In the case of phone calls, that could be via a phone-style speaker and microphone arrangement, or using a wired or Bluetooth headset or car hands free system, etc. Hopefully that's one way in which Android 4.0 (Ice Cream Sandwich) for 3G tablets will improve on 3.0 (Honeycomb), which left out the phone functionality. Of course, I know I'm not going to get that, so what options are more realistic? 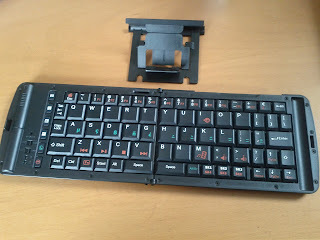 The keyboard has to have shortcuts to switch between applications, select, cut/copy and paste (which the Transformer does); the dock with adjustable screen angle would make it usable as a laptop substitute on a table, and on the lap in a chair or sitting up in bed. GPS would allow it to be used as a large screen navigation device (given a suitable car mount). USB and HDMI ports would be handy too. 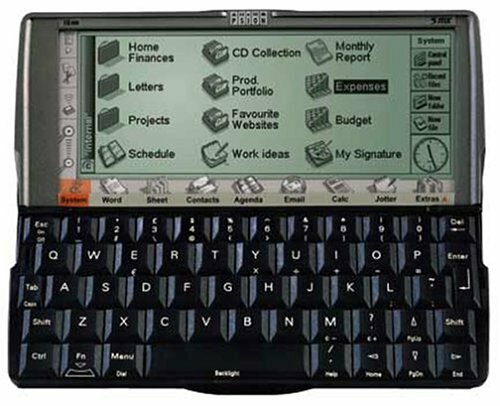 I couldn't get on with the non-standard layout on an eeePC 901 that I owned briefly, and the travel and feel on the original eeePad Transformer's dock wasn't great. I suppose I'm not a fan of chiclet keyboards. Worse, the Transformer's keyboard randomly failed to register keystrokes regularly enough to prevent it from being used with any confidence. I suspect that was more of a software issue, but it was the reason I didn't keep that device either. I did have a play with a 10" Transformer Prime in a showroom the other day, and it does seem to have improved compared with the original. Maybe a 7" Transformer Prime would do the trick? If Asus ever produce one, that is. Currently, a combination of the Samsung Galaxy Note and a folding Bluetooth keyboard (such as the Freedom Pro Universal Bluetooth Keyboard) is probably about as close as I could get to my ideal, but although the Note has great resolution (better than the larger Samsung Tab 7.7, for instance), at 5.3" it's a bit on the small side for a tablet. Also, presumably because it's marketed as a phone not a tablet, I haven't (yet) found any cases for the Note that could be used "inside out" as a landscape stand. On the other hand, I could obviously use it as an emergency phone. There seem to be a number of slim 7" tablets on the horizon. If the bezels are small enough to allow them to fit in my bag, maybe one of those could be a candidate. I'll wait to see what gets announced at MWC. A 10" Galaxy Note is on the horizon, so a 7" Note (plus Bluetooth keyboard) is another possibility, if Samsung decide to make one. An iPad-style smart case with incorporated keyboard would be great, but I somehow doubt that anybody will produce one for a 7" tablet, as most people would consider the keyboard to be too small. And even if they do, they'll probaby keep prices down by using a chiclet keyboard. From my perspective, I'd argue that good key travel/feel and layout can make far more difference to usability than size, as the 5mx's keyboard clearly demonstrates, but I'm prepared to admit that I'm probably in the minority. Hi, I just say, Intel has recently expanded this category with the Ultrabook, which usually includes a 13-inch or 14-inch display and is .8 inches thick or thinner. Many laptop manufacturers now offer these extremely small PCs – and some offer a number of options. Ultrabooks are often not as quick as ultraportables and pack smaller batteries, but they make up for these shortcomings with sleek design and light weight. thanks all!